Which ethnicity best describes you? White? Asian? Black or African American? Native American? Other? When completing an application or survey, we pick a category we align with and tick a box. For many Americans, it is an exercise that requires little thought. But what happens when everyone around you views you as a black American, but your multicultural heritage doesn't match the narrow understanding of that category? Patrice Gopo spent her formative years in Anchorage, Alaska, growing up as a black American, but her Jamaican parents had little experience in what it means to be black in America. Patrice was often the only child of color in her classrooms, activities, and friendship circles. Feelings of being different are occasional twinges for some, but for Patrice this was the reality of her everyday life. She had to grapple with the mixture of identities that swirled together and formed her--a journey at once both common to people and particular to her background. In All the Colors We Will See, Patrice explores the idea of what it means to belong. In this poignant, poetic, and often courageous collection of personal essays, Patrice examines the complexities of identity formation in a modern world where cultures intersect and overlap. She seamlessly moves across the borders of space and time to create vivid and memorable portraits of the way movement and migration affected her quest for a sense of belonging. 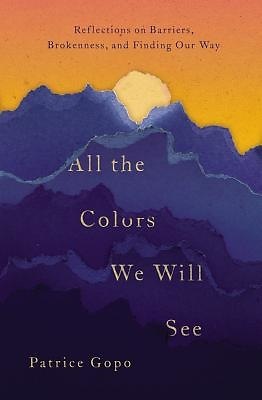 Through this journey of essays, Patrice writes about not only immigration and race relations but also topics such as societal beauty standards, marriage and divorce, and the complexities of living out a faith in God--concluding that the very differences dividing us might actually be what unite us within the vast definition of what it means to be human.